Yusif was looking through the through the Tyree Lee file. Tyree went into the eZee Stop in Saint Minas, grabbed a six pack of Bud, and walked out of the store while the clerk was looking the other direction. The theft was less than ten dollars, but Tyree had been in court so often that if he sneezed in the wrong place he caught a felony charge. There was a video of the theft and Tyree confessed to the Saint Minas officer who arrested him. His record was so bad that the sentencing guidelines called for him to get between a year and a month and a year and six months in jail. Yusif put down the file and started typing up a plea agreement on his computer. It probably would do no good, but he would send the plea agreement to Tyree's lawyer anyway. Most people who were being prosecuted currently were going to get away with it this time. When the old inn burnt down it took out more than just a few offices. 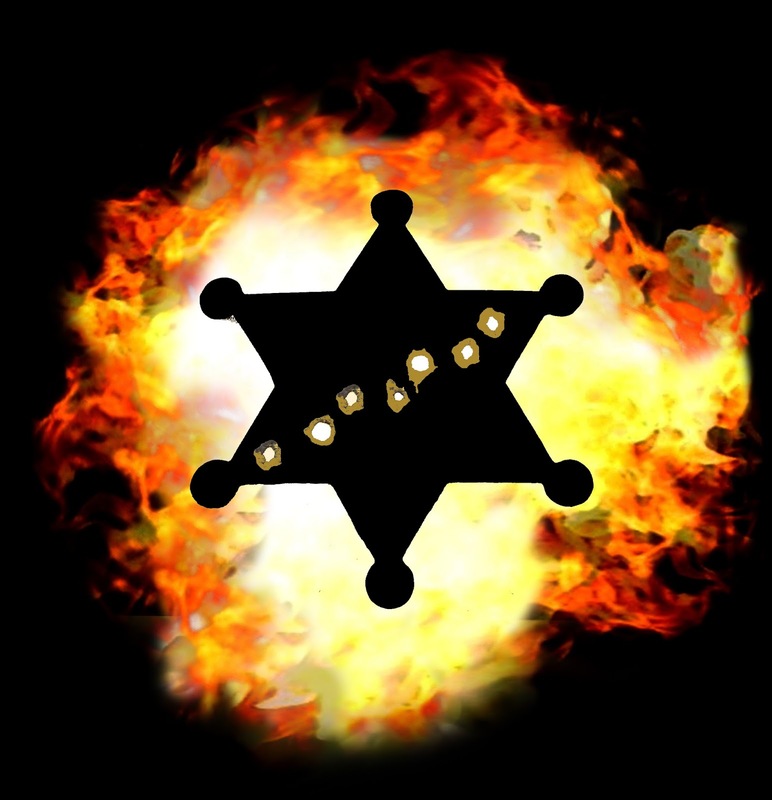 It destroyed records of all the investigations done by the Sheriff's Department. Worse, all the evidence which was kept locked in the basement was gone. Adding to these problems, the Clerk of the Circuit Court had his offices in the old inn too, so all the files which had the original indictments, signed by the grand jury foreman, were nothing more than ash. "Excuse me." The voice roused Yusif from his gloomy thoughts and he looked away from the computer. There was a Black man standing in the door of his office which meant the guy was definitely from out of town. The only ethnic minorities in Bartlette County were one Egyptian-American, three Indian doctors and their families, and the Melugeons. The only African-American Yusif had seen in Bartlette County in the last year was one of the FBI agents who showed up after the attack. This rail thin man in threadbare black pants and beat up gray coat was not a member of the FBI. Well, at least he doesn't look like a reporter either, Yusif thought. He waved the man into room. "Yes? Can I help you sir?" The man walked into the room. "I hope so. The lady downstairs sent me up here . . ." As the man walked into room his coat swung open revealing his collar. Jerome saw the moment of recognition. The man's eyes widened slightly and he immediately started to stand. Next, this man who had been perfectly cordial to him would overcompensate for imagined impropriety by becoming extremely polite and formal. He needed to nip that in the bud. He held his hands up in the universal sign of surrender. "I come in peace, Earthling. Take me to your leader." The man behind the desk froze. He stood there for ten seconds, then ten more. Finally, he spoke without smiling. "You know, Father, it never ends well when someone says that to Kirk." Jerome put on his best smile. "Then I guess it's good we're not on the Enterprise." Striding forward, Jerome stuck out his hand. "Hi. I'm Jerome Tolton. I'm looking for . . ."
The big man stopped with his hand halfway across the desk. "You're Father Awesome?" Taking another stride, Jerome reached out and grabbed the hand which had stopped moving forward and shook it when the man squeezed back automatically. He almost regretted it a second later when the big man got a grin on his face and the squeeze became enthusiastic. "Heck, Father, I've been hearing stories about you ever since I moved to Bartlette County. Mrs. Mahan brags on you all the time. I expected you'd be ten foot tall and have lightning bolts flashing from your eyes." As Jerome took back his slightly crushed hand it was his turn to be a little confused. "You mean Maggie?" "No, sir." The man's grin got a few centimeters wider. "There's only one Mrs. Mahan in Bartlette County and that's Abigail Mahan." "And she calls me Father Awesome?" "No Sir. She brags on you so much that Maggie and Brad do though." For a couple seconds, Jerome reflected on that. He did a lot of things over the last ten years as he became the Bishop's top troubleshooter, but not many of them felt much like they should be bragged about. "I can't say I've done much that deserved bragging. I just do what the Bishop tells me to as best God gives me the ability to. Living up to that nickname might take a little more than the abilities the Lord has given me." "I wouldn't bet on that Father." The big man continued to grin. "And I definitely wouldn't let Mrs. Mahan know if I doubted it. I'd get a tongue lashing that would take off several layers of skin." "Anyway," the man pointed to one of the chairs in front of his desk, "Have a seat. I'm Yusif Habib, the deputy Commonwealth Attorney. What can I do for you?" Looking down at the two chairs in front of the desk, Jerome chose the wooden one over the one made of metal and plastic. Although both were of indeterminate age, they clearly had their best decades behind them. 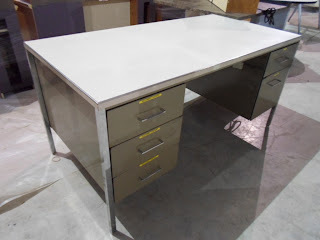 So did the metal desk with the Seventies era ugly green paint. The man who sat down in the equally dated orange chair behind the desk had a dark skin tone and he was offensive lineman large. "Well, Yusif, I was sent here to help out. I'm not exactly Father Dowling, so I don't think I'd be much help sleuthing around the dark corners of Bartlette County, but I am a lawyer. I thought maybe I could be of some help here." Brad walked out of the examination room, putting his jacket back on. He might not even have a scar where they sewed his earlobe back together, although Doctor Ambedkar waffled about it the way insurance companies have trained doctors to do. At least the good doctor took off that ridiculous bandage. He gave all sorts of dire warnings about scratching the ear or getting it wet, but he allowed that it would probably be better if the ear got air as it healed. As Brad was paying at the front desk, Maggie almost hurdled through the front door. "Get moving. We have to get to your office right now. Why aren't you answering your phone? I tried to call you four times and you never picked up." It all came out in one breath and Brad was a little stunned by the onslaught. He pointed to a sign in the lobby which forbade the use of cell phones because they might interfere with medical equipment. It would have been more effective as an excuse if two kids in the lobby had not been texting away on their phones in the seats next to the picture. Yet, Maggie did not call him on it. Instead, she grabbed him by the arm and started hustling him out the door. "We've got to go now. My car is right outside. We'll come back and get yours later." Her car was parked right outside the doctor's office on the yellow curb. She shoved him toward the passenger side and hit her key fob unlocking the vehicle. Once they were both in she turned the key so fast that the starter made a grinding noise and she practically stomped the gas pedal as they pulled out. While he fumbled to get his seat belt on, Brad looked over at his wife. "What's going on Maggs?" She kept her eyes in front as the car barely paused at the stop sign at the entrance of the parking lot. "Paula called me. She tried to call you first, but couldn't get an answer. I was in Yared doing the political wife thing at a Red Hats lunch. It took me an hour to get here and get you - still with your phone off." Brad could tell he was going to hear about this later. Maggie considered it just this side of a sin not to be reachable by cell twenty-four hours a day. Again though, she was not fussing at him about it. Something really had her flummoxed. "Maggs, slow down. What is it?" "Father Tolton's here. He is at your office, waiting to talk with you and you are making him wait." Brad winced as his wife made a left turn onto Main Street, at speed, under what could have arguably been the last glow of the yellow before the light turned red, and directly in front of a town officer. "Dammit, Maggs, slow down! It won't do anyone any good if you kill us five hundred feet from the courthouse. And Tolton seemed like a decent guy. He'll understand." She pulled around behind the courthouse and directly into the space reserved for the General District Court judge. "Bradley 'Nickel' Dollerby, it's Father Tolton and you will call him Father. I know the Father will understand. My mother, on the other hand . . ." She paused and gave Brad a meaningful look. Both of them got out of the car and strode quickly into the courthouse. When they got to Brad's office, Paula was on the phone and she pointed upward. They turned around and headed straight to the attic office. When they got there, Yusif had two people sitting in front of his desk. There was a thin black man in priestly garb and an older lady with a light blue blouse and long dark blue skirt. Brad had just enough time to think "damn, she's wearing the pearls" before she opened up on him. "Well, it's about time you showed up, Mister Commonwealth Attorney. While you've been out gallivanting, Father Jerome has been sitting here for an hour and a half waiting for you to be kind enough to show up at your own office. You do still work here don't you?" Brad stood there. All he could do was weather the storm. There was no arguing with this woman and even if he did argue, God help him if he scored any hits because then his wife would turn on him too. Of course, if he remained silent his wife would start arguing with Abigail on her own in about ten seconds. This would lead to chastisement later about how he never stood up for himself and how she always had to defend him from her mother. That was infinitely better than having the two women yelling at him in tandem. Then, just as Abigail was hitting stride, a voice cut across her harangue. "Now, Abby, this is my fault, not his." Then Brad saw something he had thought impossible. Abigail Mahan stopped in mid fuss. It was only a moment, but when the slightly built priest interrupted her she stopped. Then she turned to the priest. "Nonsense. You are a guest and shouldn't be treated this way. And you a Father even." She scowled slightly and started to turn back to continue tearing strips off Brad's hide. The priest stuck his hand, palm out, between that scowl and its intended victim. "Abby, I'm the one who's being rude here, not Mr. Dollerby. I came to town without calling anyone, showed up without an appointment, and it never even occurred to me that a man who was in a building when a massive explosion took place right outside would probably be seeing a doctor." The priest stood and took Abigail's arm, helping her to her feet. "And you, of all people, know that the fact that I'm a priest does not make me perfect. The Bishop sent me to talk to these gentlemen about what happened last week, so I'm afraid I'll have wait until tonight to finish filling you in on all the details of what I've been up to." He walked her over to the door and looked at Maggie. "Maggie, would you be kind enough to walk Abby out so that I can talk to your husband?" Maggie nodded and both women left after the priest promised he would show up at half past six for supper. Brad stood there astonished. He had never seen anyone stop Abigail once she got rolling, much less give her the bum's rush out the door. As the priest shut the door behind the ladies and turned back around, Brad heard his assistant's voice behind him. "Wow. Now I know why they call you Father Awesome." As Brad watched a little grin crossed Father Tolton's lips. "Don't expect it to last. I give it a day or two and she'll be pushing me around just as much as she does everyone else." With that, the priest returned to his seat. Brad sat in the the old metal chair next to him. "Father, what can we do for you?" The priest's expression became much more serious. "I've been sent by Bishop Mannion. What can you tell me about the death of Father Ted Pahl?"